Zinovia Vasilievna Dushkova, Ph.D., is a Russian author, poet, philosopher, historian, and traveller. She has been honoured with a number of awards, prizes, and commendations for her contribution to the spiritual development of society, and for excellence in the domain of scientific research into the ecology of consciousness. She is a Fellow of the European Academy of Natural Sciences and the European Scientific Society, both based in Hanover, Germany. A seeker of ancient truths, Dr. Dushkova has always strived to find only one thing: Love. 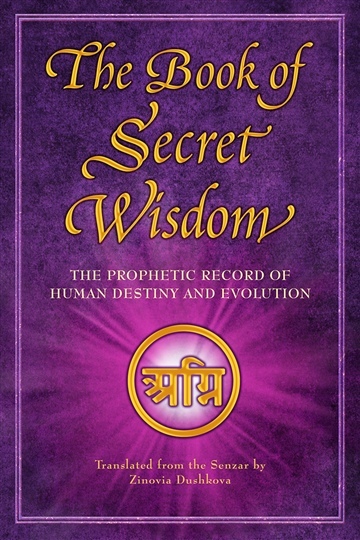 She has engaged in research in Asia, Africa, Europe, and North America for more than twenty years, acquiring the secret wisdom underlying all known religions and philosophies. She has stayed at remote Buddhist monasteries and secret Abodes hidden in mountains, deserts, and caves in Tibet, Mongolia, Nepal, and India, as well as other countries, where sacred scrolls and ancient manuscripts have been preserved. These are the places where her predecessors in esoteric philosophy, Helena Blavatsky and Helena Roerich, obtained their own wisdom. As a result, since 1997, nearly forty works by Dr. Dushkova have been published in Russia, Ukraine, Moldova, and France. These works are all of a spiritual nature, having been recorded during her travels in the Himalayas, the Karakorum, the Nilgiri, the Gobi Desert, the Pyrenees, and beyond. They reflect a neat synthesis of science, religion, history, and philosophy. Underlying Dr. Dushkova’s poetry and prose, her fairy tales and legends, is a worldview full of wisdom and the cultural heritage of both the East and the West. Her works are often described as “books full of Light.” Readers are attracted to the unusual depth, yet simplicity, of the author’s thought, the life-affirming notes which characterize each volume, and the beauty, poetry, and musicality of her language. Dr. Dushkova’s books are distinct from many others in that Good, Light, and Love — in their highest manifestation — consistently characterize her writings. In her creative work, Dr. Zinovia Dushkova continually strives to reignite hope where it has disappeared, illuminate Love where it has died away, and add delight to life where its meaning has been lost. And indeed, her readers’ reactions show clearly that these books help people to learn. While assisting them to change themselves for the better, they also help them find purpose and meaning in life through establishing solutions to the universal questions and answers that vex us all.